Aylin really enjoyed the One District One Book of The World According to Humphrey. It was a fun addition to our nightly story time. 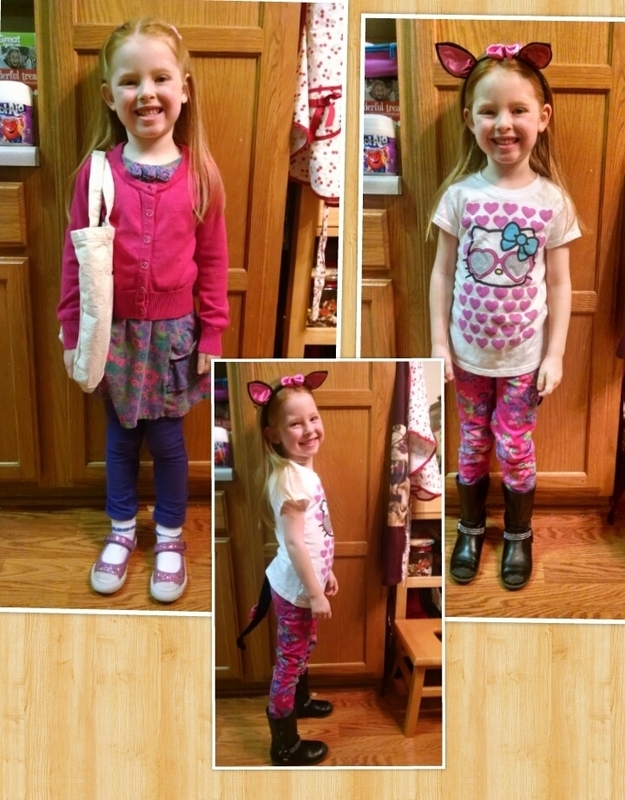 At the end of the book, they had a week at school where each day had a fun dress up theme. A few of those days were missed because of various things. But we managed to get the "dress as your favorite character", and "dress as your favorite animal" days. She dressed as teacher Ms. Mac from the book, and also as a cat. Fun times! Aylin really has exploded into the reading world far faster than I expected. She continues to amaze me every day with how well she reads and how much she loves it.